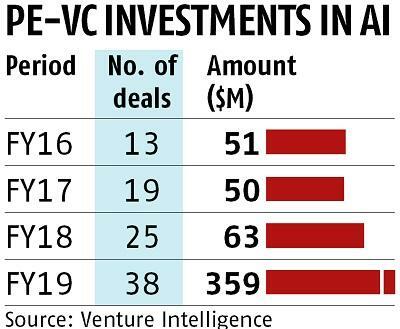 Private equity/venture capital investments in the Artificial Intelligence (AI) segment in the country grew over fivefold in 2018-19, to $359 million (nearly Rs 25,000 crore) from $63 mn (Rs 440 crore) in FY18. Led by one of $140 million in September 2018 by Mithril Capital, Blume Ventures, Tiger Global and others into Grey Orange Robotics. According to data from research firm Venture Intelligence, there were 38 such deals in FY19, compared to 25 the previous year. In 2016-17, investment into AI totalled $50 million via 19 deals; the year before, $51 million in 13 deals. Founded in 2011 by Samay Kohli and Akash Gupta, GreyOrange is a global leader in AI-powered robotics systems, for flexible automation across fulfillment centers in the supply chain. Other top deals during the year included Wavemaker Partners, Denso Corporate Ventures, Vertex and others investing $65 million in semi conductor firm ThinCI, in September 2018. Jungle Ventures, SoftBank Corp and others put $30 million in enterprise software firm Engineer.ai in November 2018. Rocketship.VC, Sequoia Capital India and others invested $20 million in enterprise software firm Mad Street Den in September 2018. SBI Venture Capital invested $15 million into robotic process automation firm AntWorks in July 2018. The tremendous growth in AI interest from investors is expected to grow. They note the potential it offers in the market, in the retailing, e-commerce, health care, travel, banking and logistics sectors, among others. Experts say big companies are also tapping into the technology to prepare for the future. AI has, according to an Accenture analysis in 2017, the potential to add $957 billion or 15 per cent of the then gross value added, to India’s economy in 2035, compared to a scenario without AI. However, to avoid missing this opportunity, policy makers and business leaders must prepare for, and work toward, an AI revolution, it said. It recommends an innovative private sector, with a supportive policy and regulatory framework. The Union government’s Budget for 2018-19, mandated the NITI Aayog to establish a national programme on AI, aimed to guide research and development in new and emerging technologies. Last June, the Aayog issued a report on a national strategy for the sector. In the interim Budget announced this February, it was announced that the government would launch a national programme. This was to be catalysed by the establishment of a National Centre on AI as a hub, along with Centres of Excellence. Nine priority areas were identified and plans to develop a National AI portal announced. NITI Aayog says AI could address societal needs in five sectors – for affordable access to quality health care, enhanced farmers' income and increased farm productivity, improved access and quality of education, connectivity for the growing urban population, and smart mobility and transportation. It also identified lack of expertiese in research and application of AI and the absence of enabling data eco-systems such as access to intelligent data, privacy and security. Apart from funding, a major challenge is the availability of adequate skiled personnel, say experts from the education sector. 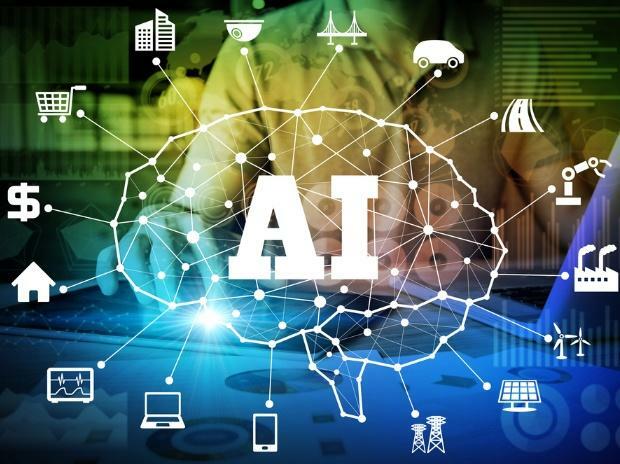 The All India Council for Technical Education has added AI, the Internet of Things and Machine Learning among mandatory studies in some of the higher education programmes. Increased demand for products and services can attract more investment towards research and development, says iNurture Educatiion Solutions, a Bengaluru-based company working on enabling career-ready formal higher education.